Bring a friend for extra fun & receive a special gift! Essential Oil Bath Bomb Workshop for Mamas! Join us for a bubbly morning & learn the science behind the fizz! Oil infused bubbly water will be served! Gift yourself an at home Self-Care Spa Day with bath bombs infused with therapeutic essential oils, lavender petals, rose petals & chamomile flowers. Choose from Lavender, Serenity, Balance, Cedarwood & Geranium oils after we chat about the benefits of each oil. Don't take baths? Make a bath bomb for your kids, or for your mama as a Mother's Day gift! Create additional Bath Bombs for $5 each! Bring a friend who is new to oils & receive a free gift! Join Kristin & Earth Goddess Deborah Marshall, for an immersive, sacred, energetically connecting crystal, oil & terrarium workshop. We will begin with a group circle, a drop of therapeutic grade essential oils & intention setting ritual, move into a meditative sound journey with crystal singing bowls to help us align with and discover our intentions & needs for the spring. We will then create succulent terrariums with living plants, intuitively picked crystals & sacred earth elements. We will end with a closing circle including the Anjali mudra love circle, anointing with oils, honoring our time together, honoring ourselves, each other & mama earth. Thank you for registering for the Essential Oil Workshop! I look forward to gathering with you, sharing plant wisdom & sprinkling oils. Host an oily gathering at your home and receive some beautiful oily dōTerra gifts from me! Which Essential Oil Workshop Are You Interested In? Would you like to me to host this event at your home or at our shala? Using essential oils to support your emotional health is a gentle & effective way to support your needs naturally. Join us for a beautiful gathering, pause for a mindful of quiet & breathe in the benefits of therapeutic grade essential oils. Discover how oils can support your emotional health by releasing negative emotions & embracing positive feelings. We will dive in to the science behind aromatherapy & focus on Spearmint, Clary Sage, Geranium, Ginger, Patchouli & Wild Orange therapeutic grade essential oils. We will discover how these oils can support our efforts to live with Power & Purpose. Each participant will go home with an Affirmation Card and a Beyond the Blends sheet full of ideas including journaling prompts, mind body connections & mantras to support emotional well-being. Join us to learn about the top 5 essential oils that can help improve the quality of your sleep. 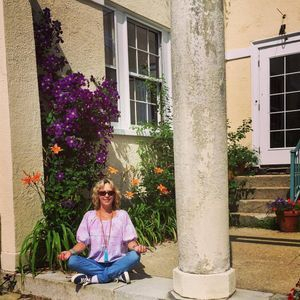 We will practice simple grounding breathwork supported by a grounding oil blend, sample beautiful therapeutic grade essential oils & dive in & learn about essential oils that support quality sleep & how to use the oils to improve sleep. Participants will go home with several educational eo handouts. There will be an opportunity to purchase oils through membership. Decide to become a member & your workshop & pillow spray are FREE! 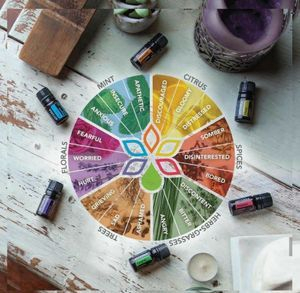 Learn how simple and truly enjoyable it is to weave essential oils into your life. Together we will learn about the 10 top most frequently used oils & how to use each oil to receive the it's benefits. At the end of our gathering we will have a bead bar full of raw stone & wood beads, rudraksha & lava beads, & yoga style charms for you to create your own mala style diffuser bracelet. And you will have an opportunity to purchase oils at discounted pricing & receive 1 bottle of oil for FREE! We will dive in & learn about Black Pepper, Eucalyptus, Copaiba, Cassia, Oregano & OnGuard. Learn how to boost your immunity and how to use oils to defend against bacterial, viral & fungal threats. This workshop is for people who are interested in learning more about the health benefits of essential oils & who do not already have an oily membership. This workshop will be limited to 6 participants, so please reserve your space early. Using essential oils to support your emotional health is a gentle & effective way to support your needs naturally. Join us for a beautiful gathering, pause for a mindful of quiet & breathe in the benefits of therapeutic grade essential oils. We will dive in & focus excluisvely on 6 oils and how they can support your emotional health from releasing negative emotions to embracing positive emotions. We will sprinkle & sample Bergamot, Cedarwood, Cypress, Geranium, Rosemary, Wild Orange, Ylang Ylang as well as Citrus Bliss, Balance, Serenity & Elevation blends. Each particiant will receive a "Your Mood Your Life" handout to take home. Blend a custom rollerball to support your emotional needs, using therapeutic grade essential oils & dried flower petals for $20. Enroll with a dōTerra membership and your rollerblend is FREE! This event is being offered at a private home in Sag Harbor. Drop-in, smell some beautiful oils, connect with some omazing women & create beautiful handmade gifts using therapeutic grade essential oils for your loved ones. We will focus on 5 individual oils including Basil, Lavender, Eucalyptus, Grapefruit & Thyme as well as 2 blends - Balance & Breathe. Blend an oily reflexology rollerblend with optional Rose Quartz and/or Amethyst & go home with a reflexology chart! The workshop is free & the optional DIY is $20. Join us to learn about the top 5 essential oils that can help improve the quality of your sleep. We will begin with simple & grounding breathwork, sample all 5 therapeutic grade essential oils & discuss simple lifestyle changes that can affect the quality of our sleep. Participants will learn how to diffuse & apply oils to help promote more restful & complete sleep. Enroll with a dōTerra membership & your Pillow Spray is FREE! The workshop is free & all participants will go home with recipes for creating more green cleaning products at home! Enroll with a dōTerra membership & your Veggie Wash is FREE! 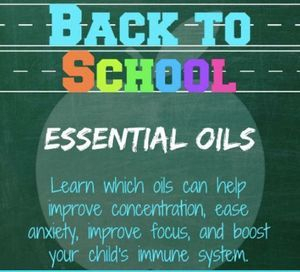 This workshop will focus on how to keep your children, from tots-to-teens, to college students, healthy throughout the school year using therapeutic grade essential oils. Whether you have children or work with children - this workshop applies to you! We will sample, sprinkle & dive in to the top 10 essential oils for immune health, focus, & emotional well-being. Enroll with a dōTerra membership & your rollerblend is free! Following our workshop we will gather outside behind Dandelion's Apothecary to enjoy the garden, river view & campfire. Using essential oils to support your emotional health is a gentle & effective way to support your needs naturally. We will dive in & focus excluisvely on 6 oils and how they can support your emotional health from releasing negative emotions to embracing positive emotions. We will sprinkle & sample Citrus Bliss, Balance & Elevation blends. Then we will explore Bergamot, Cedarwood, Cypress, Rosemary, Wild Orange & Ylang Ylang. Each particiant will receive a "Your Mood Your Life" handout to take home. An optional "oil bar" with recipes for blending a rollerball to support your emotional health will be available for $20. Let me help you enroll with a dōTerra membership and your DIY blend is FREE! I will also have several custom roller~blends in beautiful rainbow of colors, Yoga & Meditation sets, & mala style diffuser bracelts available for purchase! Although the workshop is FREE, advance registration is REQUIRED. Join us and learn how to repel insects naturally & effectively using certified pure therapeutic grade essential oils. From ticks & mosquitoes, to ants & spiders, to bed bugs to dog fleas we will explore which oils work best to repel a variety of insects. Enroll as a member of my doTerra tribe and your DIY blend is FREE! I will have several custom roller~blends in beautiful rainbow of colors, Yoga & Meditation sets, & mala style diffuser bracelts available for purchase! Bring a friend who hasn't attended a previous workshop and receive an oily gift! 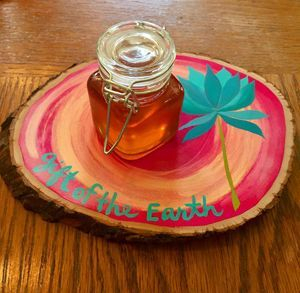 Make & Take Teacher Gifts! Make a meaningful & thoughtful gift your favorite teacher, coach, librarian, school nurse or administrator! Oily DIY's will range in price from $5 to $30 and will include assorted rollerblends, travel sets in clip-on bags, car diffusers, or closet diffusers! Can't make the workshop - let me know and you can pick up a take home DIY kit! I will also have up-cycling accessories available so you can up-cycle your empty bottles! And, I will have several new custom blends in beautiful new roller bottles in a rainbow of colors! Perfect for Mother's Day gifts, gifts for your favorite grad or spring birthdays! Create an optional Fruit & Veggie Wash in a glass spray bottle. Join us for a FREE essential oil workshop celebrating passion & romance! Create a passion inducing body spray for yourself and/or a mood enhancing rollerblend for your favorite guy! Real men use oils! We will sample dōTerra's Passion blend and dive in and learn about Black Pepper, Cassia & Cedarwood essential oils! Though we often think of a single word to describe our emotional state of mind, defining true emotion is never that simple. 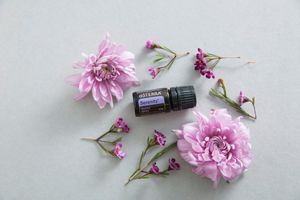 While a single oil can always make a difference, a synergistic blend of supporting essential oils can help address the layers and complexity of our feelings. Because of their unique natural properties, blending essential oils for emotional benefit should remain more of an art than a science. Ease & Grace blends are a starting point, developed by Vanessa Jean, based on each oil's emotional characteristics. In this workshop, we will breathe, practice affirmations while using mantras and dive in to Vetiver, Petitgrain and Spikenard essential oils. The optional DIY is $20 and includes an affirmation card. Join us for a festive, crafty & oily morning! A drawing will be held for a prize for attending past workshops! Bring a friend to the Holiday Workshop and receive a free gift! A Mini Oils Workshop focusing on Lemon, Peppermint & Lavender will be followed by a DIY workshop! Make gifts for friends, family or even for yourself! DIY Projects will include roller-blends, mala bracelets, bath salts, body scrub, & travel sets! We will dive in & learn about the omazing benefits of Ylang Ylang, Spikenard, Indian Sandalwood, Myrrh, Geranium & Helichyrsum e.o.'s! 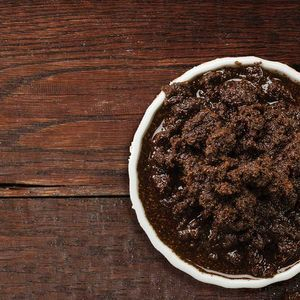 Blend an optional DIY Rejuvenating Facial Scrub for $20 - or enroll as a member of my tribe and the scrub is FREE! 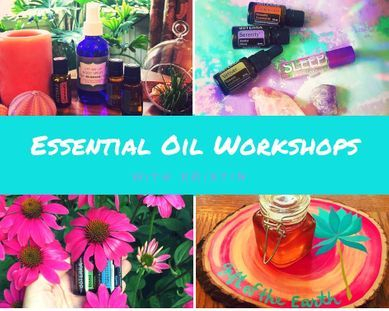 Each free oils workshop you attend, automatically enrolls you for a chance to win free oily goodies - drawing in December! Join Kristin Davey of Sag Harbor, NY for a beautiful oily gathering. We will breathe, sample, sprinkle & blend certified pure, therapeutic grade essential oils. Grab a girlfriend and join us for an evening celebrating sisterhood as we dive in and learn how essential oils can support our emotional health. Learn how to use oils to support your yogic lifestyle and enhance breath~work, meditation & your yoga practice! We will explore a variety of doTerra essential oils and learn how to incorporate them throughout the day. Diffusing oils in a space and applying oils topically can enhance the benefits of yoga, mindfulness and meditation by creating an atmosphere that allows you to relax and focus more easily. Different oils and blends can be used to create invigorating and uplifting energy for morning classes & routines, oils that support focus and calm can be used during kids classes, oils for stress and anxiety relief make a terrific addition to teen classe,s oils for grounding, balance and serenity complement meditative, evening or yoga nidra classes. Join us to discover how to use oils to support your yoga and meditation practices. The workshop is free and each participant will receive a Yoga and Meditation essential oils guide with recipes. I absolutely love being part of an omazing tribe of women sharing the health & wellness benefits of using essential oils! Creating gatherings and offering oils is providing me with a sense of sisterhood & wellness that I am incredibly grateful for! Have a studio in the Northeast? I'm happy to journey to your space connect, sprinkle oils and help create community!